Simple, nutritious food is key to having your body run at optimal performance. Unfortunately, our food supply is severely lacking in vital nutrients due to the depletion of the quality of soil that vegetables are grown in and the increase of processed foods. This makes supplements an important part of the modern diet to replace those missing nutrients. I rely on a wealth of supplements to keep me running at 100% everyday. Minerals to maintain my physical and mental wellbeing, Probiotics for gut health, Fish Oil to keep my heart healthy and more! 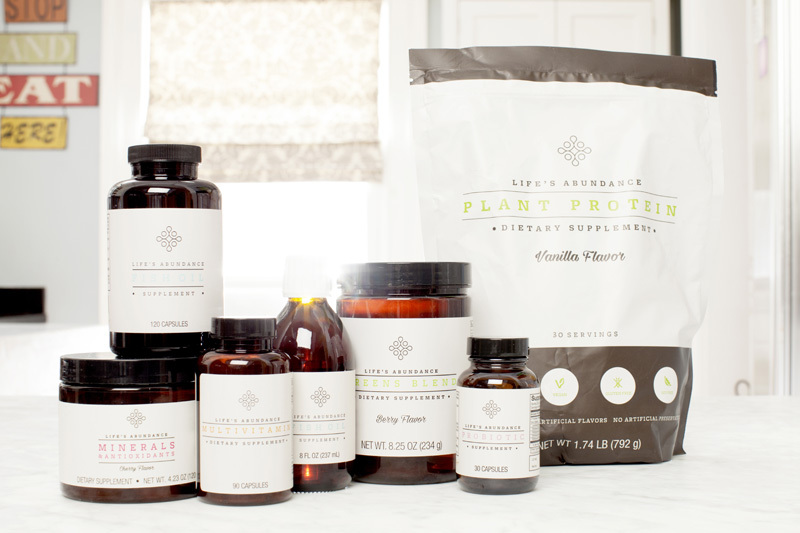 This incredible nutrition line from Life’s Abundance include Plant Protein, Greens Blend, Minerals & Antioxidants, Multivitamin, Probiotic, and Fish Oil. They are the first products I’ve found (and I’ve tried many!) that not only make me feel great, but also don’t upset my delicate digestive system. In fact, they actual help to improve it, which is why I have partnered with the company! Simply put, there’s no junk – just clean, healthy ingredients! 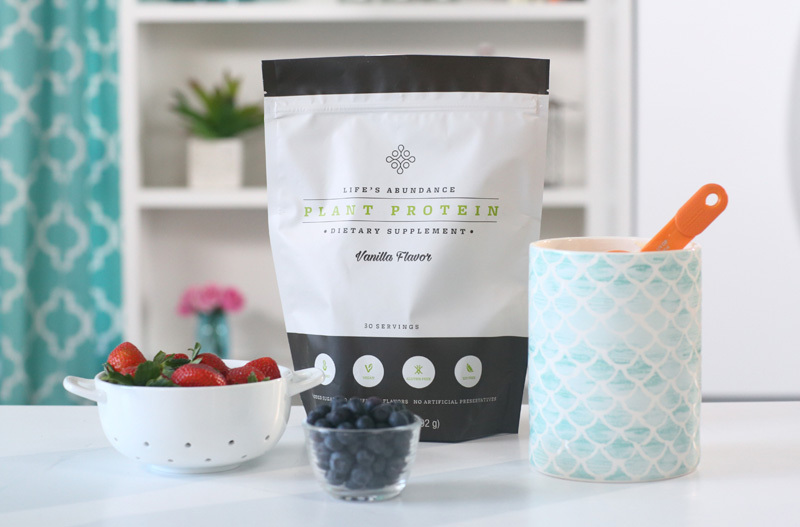 This 100% plant-based, grain-free protein powder contains 14 grams of high-quality pea, quinoa, hemp, chia and pumpkin proteins. Unlike most plant proteins that are grainy, this contains non-GMO coconut oil powder giving it a silky smooth texture, making it great to mix easily with water. A high-quality blend of raw, certified organic grasses cut at peak harvest to ensure incredibly nutrient dense greens. The addition of certified, organic blend of reishi, maitake, and shitake mushrooms provide a vegetarian source of iron, B vitamins and antioxidants. With a natural berry flavor, this Greens Blend leaves no “grassy” aftertaste and is delicious to drink any time of the day. This is my go-to drink for hydration and sustained energy throughout the day! 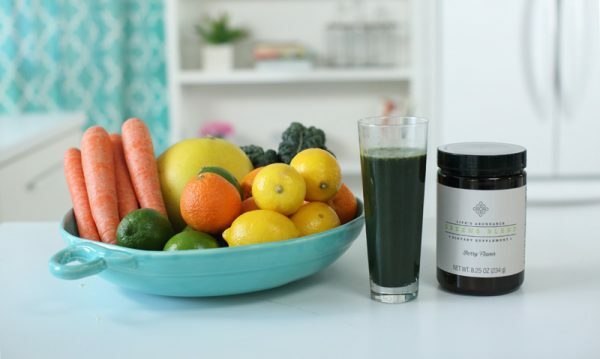 It is a deliciously, unique mix made with a variety of freshly harvested sea vegetables and contains approximately 74-plant based, trace minerals. 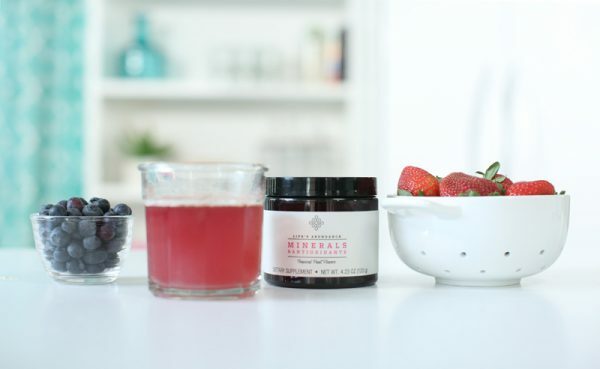 It also contains antioxidants from 11 nutrient-rich super fruits like acai, cranberry, goji, maqui and pomegranate, giving this a big boost in nutrients. The best part is that it does not contain any added sugar, artificial flavors, colors or preservatives like most other hydration products on the market. It is made with organic coconut water which replaces electrolytes and aloe vera to counter the effects of an acidic diet. Available in Cherry and Tropical Fruit. 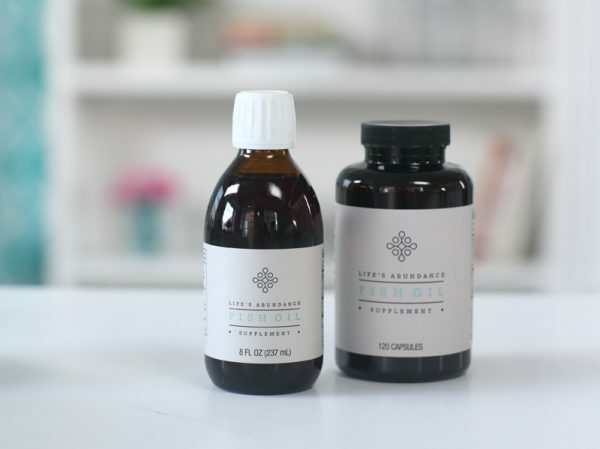 This unique Multivitamin provides a focused approach to daily wellness. 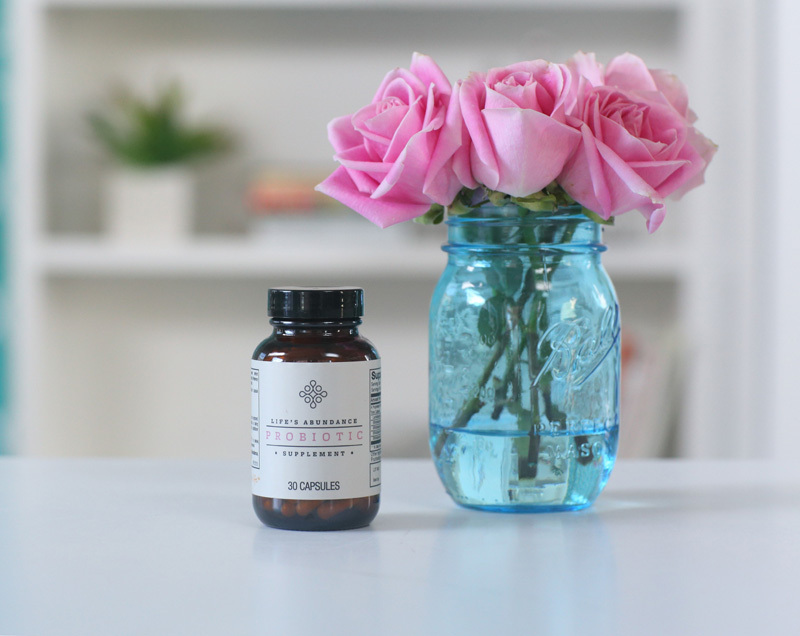 Unlike most vitamins that are compressed and difficult for the body to breakdown, this Multivitamin comes in a vegetarian capsule that makes it easy to be absorbed. It only contains the nutrients you need for optimal health and not a long list of vitamins and minerals that you don’t. 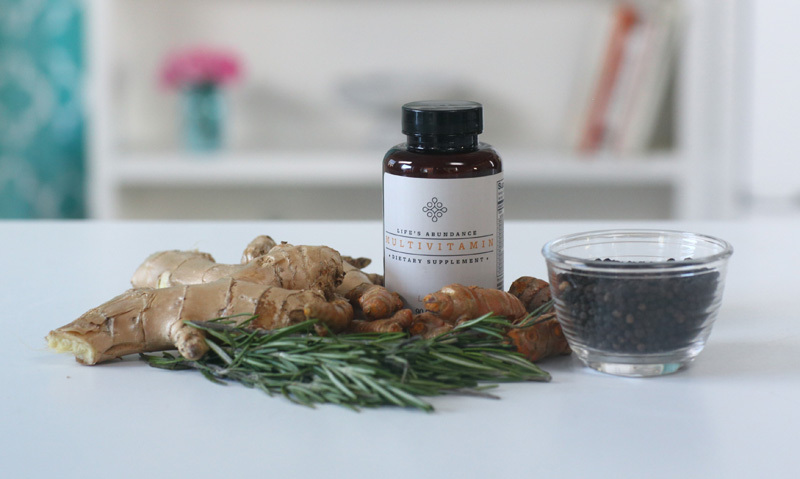 Plus this vitamin includes a proprietary blend of real spices (including rosemary, turmeric, oregano, cayenne pepper, black pepper fruit, cinnamon, holy basil, ginger and clove powder) to fight inflammation and provide natural antioxidants! Gut health is so incredibly important! There’s a delicate ecosystem of bacteria living in your intestines, which contains both “good” and “bad” bacteria. To much bad bacteria can negatively effect your digestive health, your immune system and overall wellbeing. This Probiotic formula has a potency guarantee of at least 25 Billion CFUs per capsule to deliver that good bacteria to your digestive tract for optimal wellness. Fish oil is important to fight inflammation, keep joints working properly, boost mood and improve heart health. Ultra-pure and highly-concentrated in EPA and DHA, this fish oil provides the best quality nutrients that your body needs at an incredible value. It goes through strict scientific testing to receive a IFOS 5-Star Rating, which means it meets the highest standards for purity, potency and freshness. The best part is that it features natural orange and lime flavors, so you won’t even get that fishy taste! Available in Liquid and Capsules. Do you want to create your dream life? Work with me! Learn more about joining Team Simply Rad by emailing me at sarah@simplysarahj.com. I’d love to hear from you! DISCLAIMER: The information provided on this page and my site is for educational and/or informational purposes only and should not be used in any other manner. This information is not intended to substitute informed medical advice. You should not use this information to diagnose or treat a health problem or disease without consulting with a qualified health care provider. A consultation with your health care professional is the proper method to address your health concerns. You are encouraged to consult your health care provider with any questions or concerns you may have regarding your condition. The statements on this page have not been evaluated by the FDA. DISCLOSURE: I am an independent field representative with Life’s Abundance. I earn a commission on all sales originating from this page. 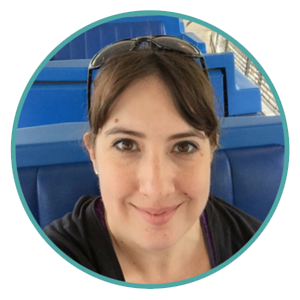 I partnered with this company because I love and use the products every day. All statements on this page and my site are my own.